The latest Ram trucks for sale set industry standards for power and capability. Whether you need an award-winning half-ton like the Ram 1500 or a heavy-duty model like the Ram 3500, expect exceptional performance and a workhorse attitude. What Can You Do with a Ram Pickup Truck? Even the Ram 1500 makes up to 395 hp and 410 lb-ft of torque for a best-in-class 12,750-pound maximum towing capacity. Upgrade to the Ram 2500 to command up to 370 hp and 800 lb-ft of torque for 17,590 pounds of towing or the Ram 3500 for a herculean 385 hp and 930 lb-ft of torque for 31,210 pounds of towing. A specialty trim like the Ram Rebel can cover off-road trails just as easily as it zips around Chicago or tows between Madison and Green Bay. Try the Ram Chassis Cab for up to a 19,500-pound maximum gas GVWR. 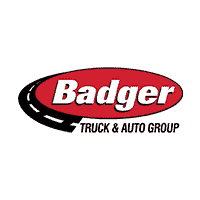 As noted by Kelley Blue Book, “whatever you knew about Dodge Ram pickups in the past continues with the Ram brand.” Take a closer look by visiting your nearest Badger Truck & Auto Group location.